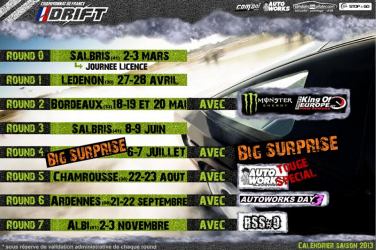 Enjoy the French Drift Championship ( and much more... ) with ARTEC Motorsport Drift Team ! Developped by ARTEC Motorsport, the new BMW E30 Drift Spec is driven by Florent AUDOIRE. This extra-lightweight prototype is powered by an amazing 340 hp engine from BMW Motorsport ! Some action shots and videos here ! Follow and support us on the French Drift Championship races !